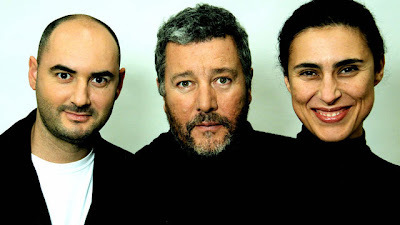 Design for Life follows Phillippe Starck on a quest for a young modern designer from Britain. Hundreds of aspiring young designers send in drawings to Starck's agency, and he chooses 12 of his favourites to come and compete in Paris for a 6 month placement in his own design agency. It was interesting to see how much these young designers get away with! It seemed like there was less restriction placed on them than we are given in Studio at times, which came as a surprise to me definitely! It was interesting also to see the ways in which Starck critiqued their work in much the same way as it is done in our classes, and encourages me that criticism like we receive is helpful and will enable us to find the best solution at the end. Furthermore it was interesting to see some limitations the competitors put on themselves that when watching them from the outside you can see how this limits them and stops them from reaching the full potential of an idea or of their own creative inspiration. This happened a number of times throughout the show to different participants, and I know it happens to everyone as they attempt to find a solution. It was a good show to watch, but it is a bit long, and perhaps the final couple of episodes are the most useful and informative because the early ones include a lot of padding. As a post-script, I think Phillipe Starck is hilarious. There was one particular part I can't find a picture of, but it was fantastic.